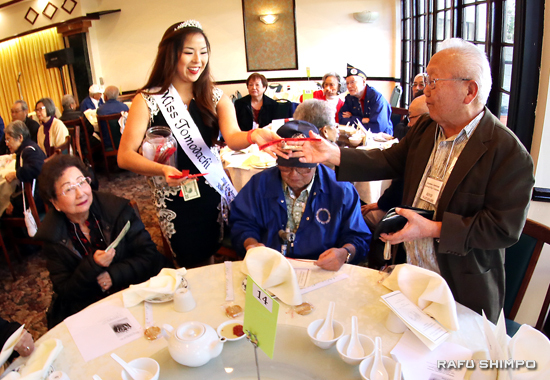 The Japanese American Korean War Veterans held their 2017 New Year’s luncheon and installation on Jan. 21 at the Sea Empress in Gardena’s Pacific Square. Above: Board members rise to take the oath of office. 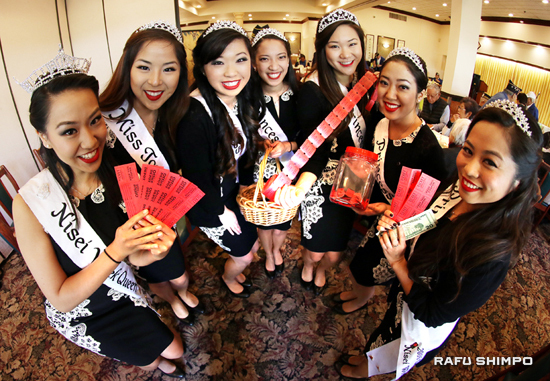 Above and below: The 2016 Nisei Week Court was on hand to help out during the luncheon by selling raffle tickets. From left: Queen Jaclyn Tomita, Miss Tomodachi Julia Tani, Princess Shannon Tsumaki, Princess April Nishinaka, First Princess Megan Ono, Princess Kaya Minezaki and Princess Heather Iwata. 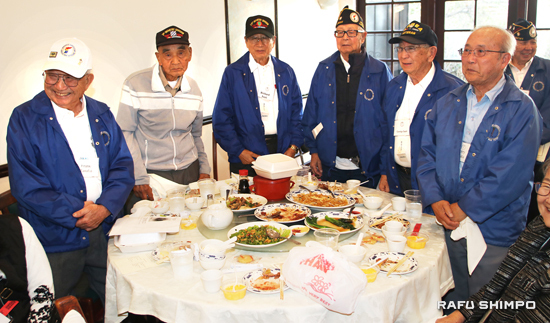 Right: Consul General Akira Chiba addressed the veterans, along with Everett Wong of the Department of Veterans Affairs, 1st Sgt. Steve Mick of the Redondo Union High School Marine Jr. ROTC, Ken Hayashi of the Veterans Memorial Court Alliance, and a representative of the Consulate General of the Republic of Korea. Below: Mac Nakamura raises his right hand to accept the office of president. 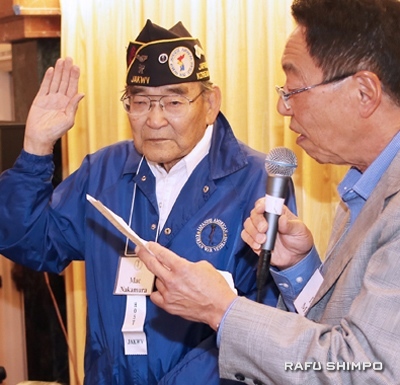 The oath was administered by legal counsel David M. Miyoshi, Esq. Min Tonai was installed in absentia as the new treasurer. The luncheon was chaired by board member Sam Shimoguchi. 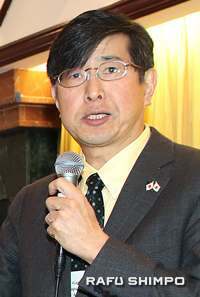 Founding member Norio Uyematsu served as emcee. Chaplain Deen Matsuzawa gave the invocation and benediction. Thomi Yamamoto led the Pledge of Allegiance. Mitch Sakado led the Missing Man Ceremony. Tom Nakagawa was in charge of the raffle and door prizes. 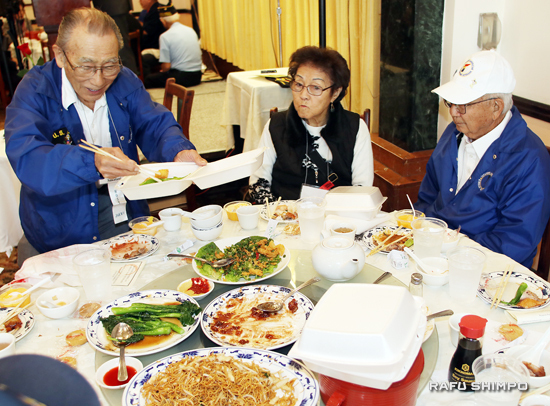 Attendees enjoyed a Chinese banquet.